Insects can recognize odors after just a handful of exposures, but machines still need huge training data sets to learn. 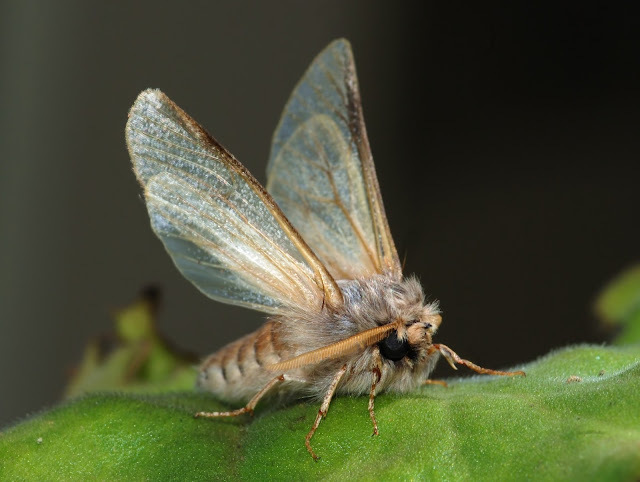 "In moths, the successful recognition of an odor triggers a reward mechanism in which neurons spray a chemical neurotransmitter called octopamine into the antenna lobe and mushroom body. This is a crucial part of the learning process. Octopamine seems to help reinforce the neural wiring that leads to success. It is a key part of Hebbian learning, in which “cells that fire together wire together.” Indeed, neuroscientists have long known that moths do not learn without octopamine. But the role it plays isn’t well understood. Learning in machines is very different. It relies on a process called backpropagation, which tweaks the neural connections in a way that improves outcomes. But information essentially travels backward through the network in this process, and there is no known analogue of it in nature."